The 26th edition of The List's Eating & Drinking Guide will shortly be making its arrival into the world, providing comprehensive, well-informed and up-to-date information on the dining scene across Edinburgh and Glasgow. The guide covers over 150 new openings from the past year and features nearly 1000 restaurants, cafés, bars and other food and drink venues across the two cities. You'll also find Hitlists in the guide, which highlight the best places in each section; and Tiplists which offer suggestions on where to go for brunch, beer, afternoon tea and more. Following the longlist announcement, we've whittled the votes down to the top five restaurants in both cities, leaving it up to you to choose which restaurants will be crowned winners. 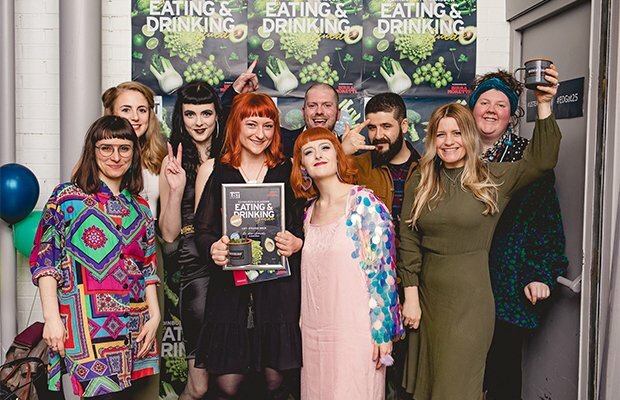 The venues which receive the most online votes will receive The List Reader Award at our Eating & Drinking Guide parties in April. Last year, Glasgow's Café Strange Brew and Edinburgh's LeftField were the winners of this much-coveted prize. Chilled out steaks on Woodlands Road with one cut on the menu: an 8oz flat iron. Modern Italian dishes with Scottish elements on the Southside. Small plates and seasonal ingredients in a wee space on Elderslie Street. Family-run Dennistoun staple that recently extended its deli-restaurant with a branch in Partick. West End bistro that hosts interesting pop-ups and takeovers. Spanish tapas restaurant that uses Spanish and Scottish ingredients. Portobello's bagel bakery with a new branch in Leith. Scottish cooking in a French-Bistro surrounding, located in Edinburgh's New Town. North American influenced food in Port Edgar Marina, with a view of the Forth Road Bridge. Modern Italian cuisine in a grand and elegant setting. The shortlist for The List Reader Award in association with Birra Moretti is open until Mon 1 Apr.